India is a peninsular country it means the three sides of the place enclosed by water bodies. That’s why India is the place for numerous beaches at different places. In one word, no other beaches in the world can’t match up with the exotic Indian beaches. Coastal lines of India will treat tourists from all over the world with fabulous and fantastic beaches. For the best experience in your life start your day at a beach from sunrise to sunset. At this gap of time, you can enjoy the different variations of beaches. This is the reason why beaches in India are more attractive. 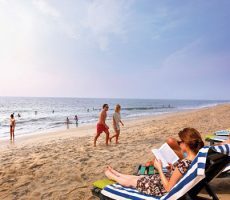 Agonda is a long stretched and crowded beach in South Goa and also one of the best beaches in Goa. People can happily enjoy the beauty of the beach in a pleasant and peaceful environment. 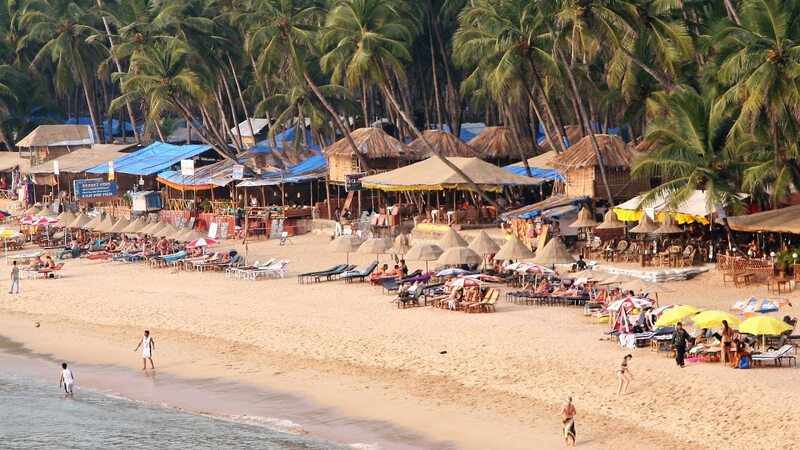 It is the best beach in Goa for late night parties, events, water sports, and delicious cuisines. To enjoy the beauty of calm and still waters means simply stay in a hut. Near to the beach, a line of huts will be there so you can enjoy the weather from there. Different restaurants, hotels can suppress your hunger with tasty food. For entertainment some souvenir stalls, small shops etc are there. The best time to visit this beach is from November to April. 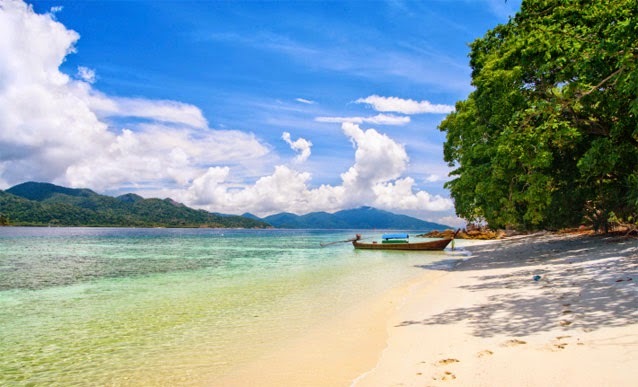 Everyone knows about the beauty of beaches in Andaman and Nicobar Islands among them Radhanagar beach on the Havelock Island is one. Once this beach was awarded as “Asia’s best beach” by Time Magazine. By this, we can understand about the beautiful richness of this beach. Radhanagar beach is an exotic beach with white sand and turquoise blue water. This beach is one of the famous beaches in Andaman and Nicobar Islands with its calm and pleasant waters. However, adventurous activities on this beach are not allowed but swimming is allowed. Radhanagar beach is ideal spot to spend time with family and friends. The best time to visit this beach for the best experience of your life means from November to April. 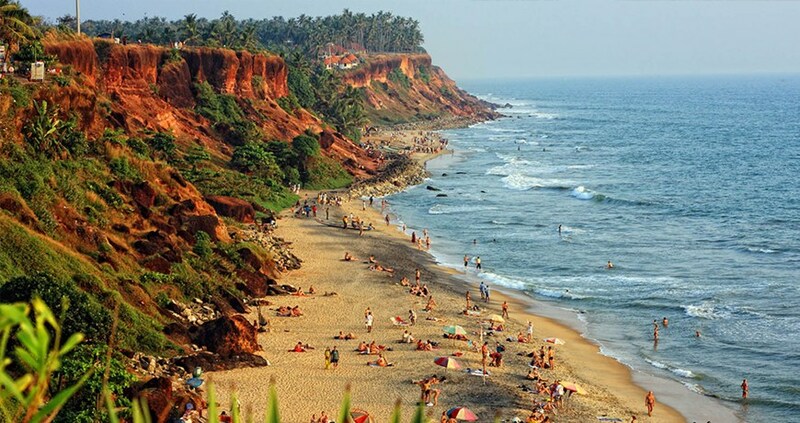 Varkala beach is one of the famous beaches in Kerala. The interesting and exciting thing about this Varkala beach is it is nestled at the bottom of a long cliff and also the best place to view the overextend of Arabian Sea. There will be a footpath along the cliff and covered with coconut palms, shops, hotels, and guesthouses. Varkala is a peculiar beach in Kerala with its stunning picturesque beauty and long winding stretch cliff. Tourists can happily enjoy the greenery of Varkala and its natural beauty. Varkala Beach is the defined place for the rejuvenating activities like Yoga and Ayurveda. The best time to visit Varkala beach means in the months of October and March. During this time weather is so pleasant. 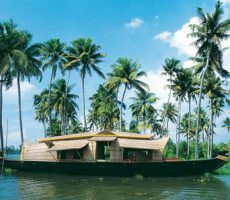 Check out the Romantic Kerala tour packages and plan your trip. Puri Beach we can say that this one is a double sided tourist place means one side with exotic beach and another side as a pilgrimage center. This beach was located in Orissa and mostly visited by the pilgrims who come to praise Lord Jagannath. The fine white sands and the line of palm trees add more charm to the beach. Puri beach is famous for a spectacular view of Sunrise and Sunset at the same place. This beach was close to some religious sites namely Sun Temple and Bhubaneswar. At the same time, this beach is ideal for seafood dishes with various fishes, prawns etc and also you can have a visit to fishing village along the coast. From two sides this beach was famous and the best time to visit means any time of the year. Baga Beach is a well-known commercial beach all over the world in North Goa. This beach was very famous and always busy with huge packs of tourists from all over the world. Baga Beach is the famous one in Goa and almost everyone chooses this beach for holiday trips. Baga Beach is famous for late night parties, water sports, dining restaurants etc. Tourists can enjoy a luxurious holiday trip with bars, clubs, beach shacks and fine dining restaurants. For thrillers, Baga Beach arranges parasailing, water sports, and dolphin sightseeing trips. Baga beach is an ideal for a lot of fun and joy with friends and family. The best time to visit is from November to February. Yarada Beach is a famous and unspoiled beach in Visakhapatnam, Andhra Pradesh. 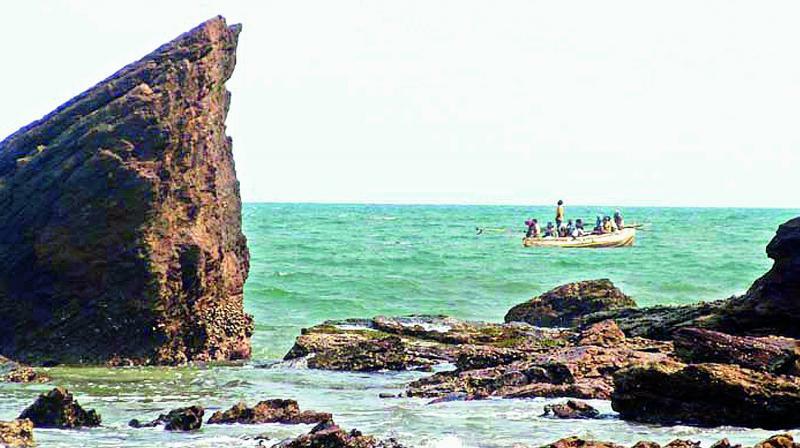 Yarada Beach is not famous for water sports and late night parties but it is ideal for pleasant and tranquil atmosphere. Tourists can enjoy the beauty of the beach with calm and lush greenery. 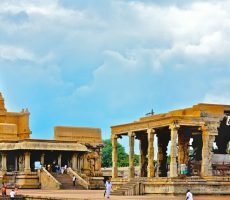 Andhra Pradesh holds the second largest coastline and longest beach road in the country but the beaches in Andhra Pradesh are unspoiled and neat. Among them, Yarada is also one. The best time to visit Yarada Beach means from October to March. Yarada beach is a defined place for natural seekers. Palolem is a picturesque beach enclosed by the forest of coconut palms and turquoise sea water. 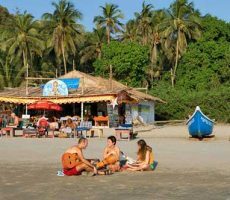 Palolem Beach was a famous one in South Goa and attracts a large number of tourists with its lush greenery and things. This is the right beach for all type of tourists to enjoy all variety of attractions. The environment around this place is so tranquil and pleasant. This beach perfect for parties, water sports, shopping, and different activities. The best things to do here mean boat riding, dolphin spotting, fishing, and massaging activities etc. 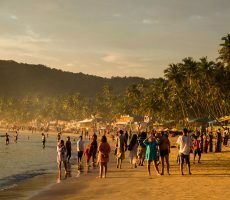 Palolem Beach is an ideal place for party goers and families. The best time to enjoy the beauty of Palolem with your families or friends means from October to March. 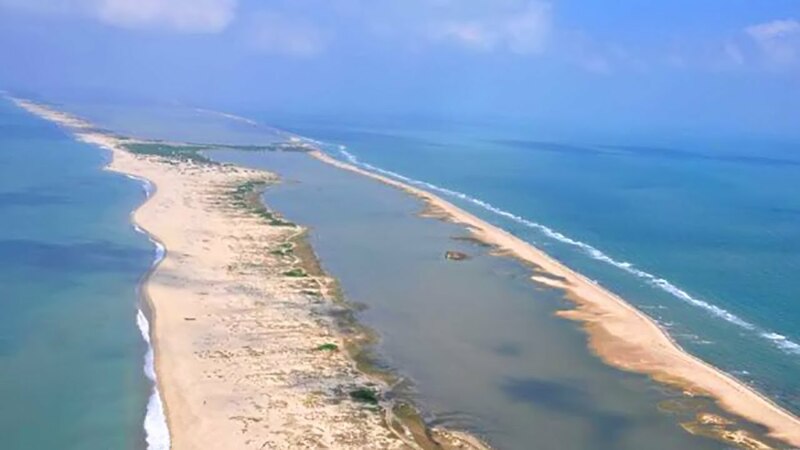 Dhanushkodi Beach is a common beach with sand and blue sea near to Rameshwaram but it shares the shoreline with both Bay of Bengal and the Arabian Sea and also nearer to Sri Lanka. Tourists mostly visit this beach to experience some interesting facts and remnants of a village destroyed in the cyclone. According to myths, Lord Rama and Hanuman constructed bridge “Ram Sethu” to reach Lanka from here only. Once there was a town near to this beach known as Dhanushkodi but it was completely wiped out by a cyclone. These interesting things and facts make tourists visit this beach. The best time to visit this beach is from October to April. 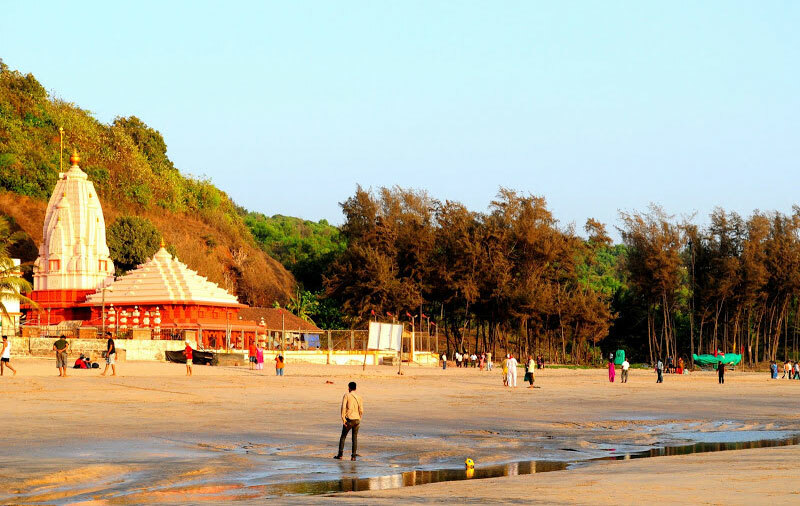 Ganapathipule Beach is another unspoiled and famous for pilgrims in Maharashtra. 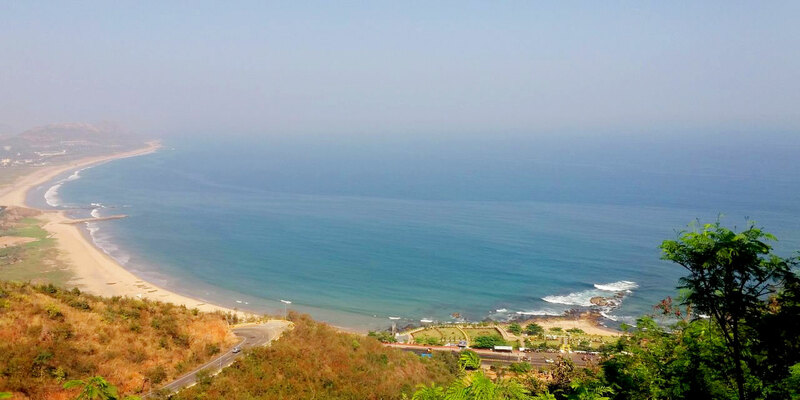 This beach was spread across the Konkan Coast and holds spectacular beauty views. This place was mostly loved by nature seekers and pilgrims every day. Near to this beach, there is a temple of Lord Ganesh which attracts a large number of tourists. Ganpathipule is the correct place for nature seekers to experience the abundant flora of mangroves and coconut palms. Nature around Ganpatipule adds more beauty to the beach. The best time to visit this natural wonder in a pleasant atmosphere means from October to February. 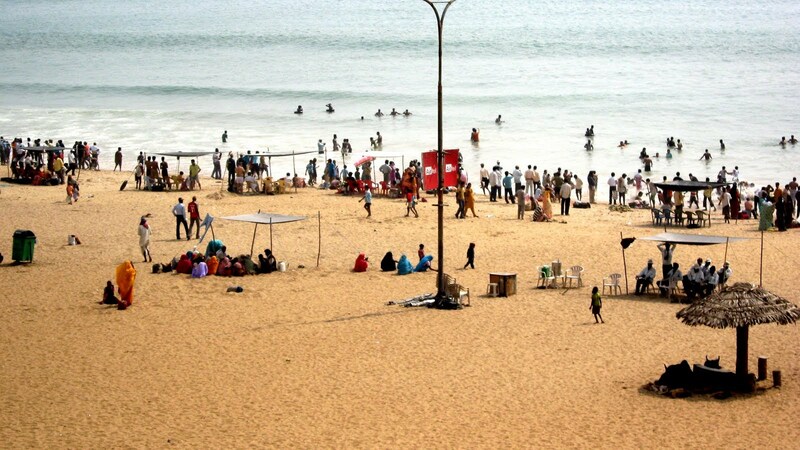 Ramakrishna Beach in Visakhapatnam is a famous beach in Andhra Pradesh popularly known as RK Beach. It very nearer to the city of just 5kms. RK beach is also an uninterrupted beach with golden sands and beach shacks. This beach was a spot for many beach-lovers and families. RK Beach is famous for delicious seafood varieties and other local delicious recipes. 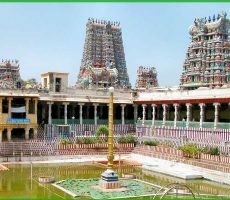 This beach is surrounded by many tourist attractions like Aquarium, Visakha and Submarine Museums, Water Memorial, and the Kali Temple. Here some beach activities like sea bathing, sun basking, and water sport are also allowed. RK Beach is a famous tourist spot in Andhra Pradesh and the best time to visit this place is from November to April. These are the top 10 beaches in India which are ideal for different attractions. 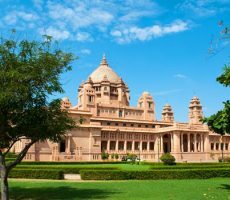 Nature-lovers and Peace-lovers can round up these 10 sites in your holidays and grab some memorable days in your life with your friends and family. 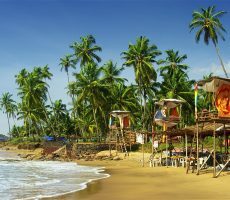 So anyone wants to visit famous beaches in India, you can pick from this top 10 list without any doubt.